Amazon dominates the US E-Commerce landscape with almost 50% market share. It’s, without a doubt, one of the best platforms to sell most physical products. To become less dependent on Amazon as their only sales channel, many E-Commerce entrepreneurs set up an e-Commerce website via Shopify. While this is a great idea, many underestimate the amount of work, skill and budget it requires to make such a webpage a financial success. This blog post intends to set expectations right and to help you to find out more about How to Build Your Own Highly Converting Shopify Store. Let’s begin with a legitimate question: Why even care about building a Shopify Store? 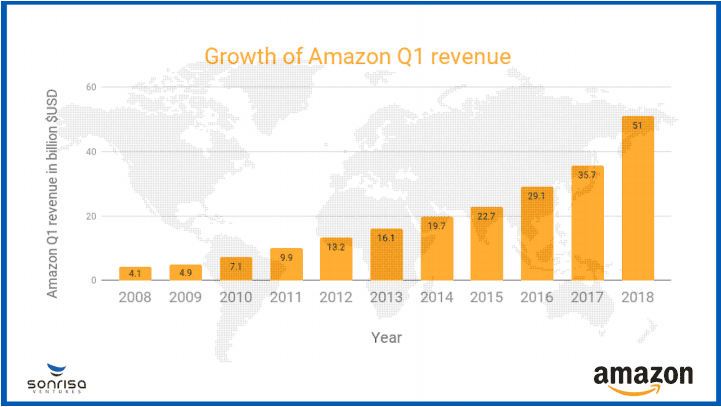 Amazon is growing at a record pace; it’s adding more countries and more Prime members every year. Jeff Bezos’ flywheel is apparently working with precision and perfection. 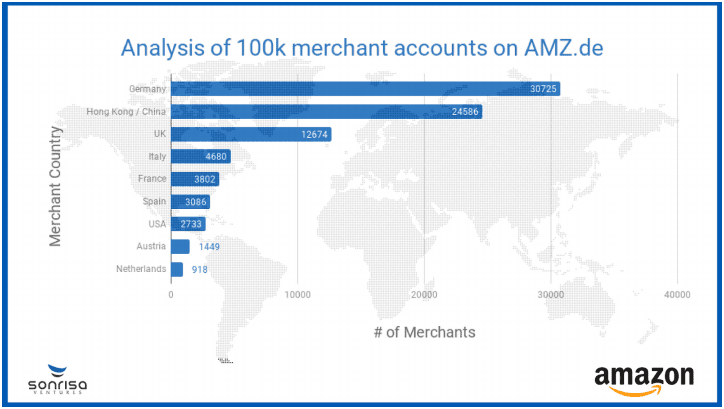 A large number of Amazon merchants generate so much business on Amazon that it would sound foolish to look elsewhere. They rightfully claim that they can maximise their ROI by investing most of their time and focus on Amazon.That’s true and probably a good idea for most merchants. Amazon sellers reported a 3x increase in Amazon worries and problems, ranging from compliance issues to competitive issues compared to 2017. Amazon indeed is getting much more competitive. As of March 2018, there are already 5M+ Amazon marketplace sellers selling on the Amazon platform. Also, according to Marketplace Pulse – an e-commerce intelligence firm – approximately 3,000 new sellers join the Amazon platform each day! Since the barriers to entry are so low, it is hardly surprising that competition is skyrocketing. In addition, we see a large number of Chinese factories selling directly on Amazon. There used to be a time when Chinese factories only knew how to source, manufacture and ship products. Nowadays, they are getting more experienced in advertising and branding, i.e. the skills traditionally attributed to American or European sellers. A look at the German Amazon marketplace confirms this trend: Already 25% of all Amazon sellers on Amazon Germany are Chinese (source: Sueddeutsche Zeitung). We firmly believe that the future of E-Commerce is multi-channel and that this future includes both companies, Shopify and Amazon. As mentioned in the introduction, while setting up your own Shopify shop is a great idea, many underestimate the amount of work, skill and budget it requires to make a stand-alone webpage a financial success. 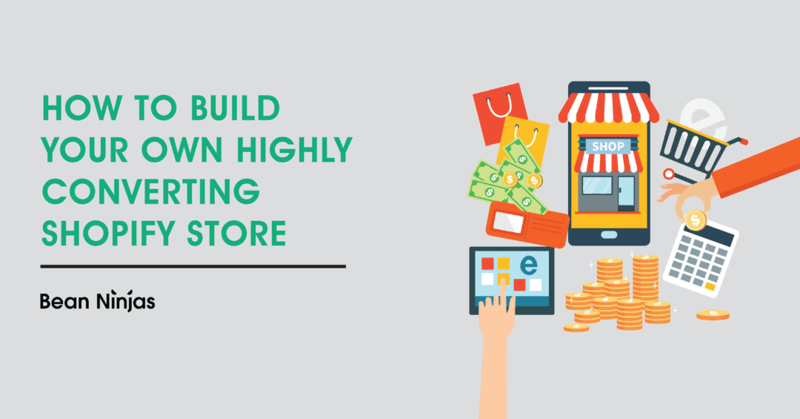 One of the most significant hurdles of running a successful Shopify store is to know how to attract and convert visitors into paying customers. Related reading: How to leverage the power of online communities to grow your business. 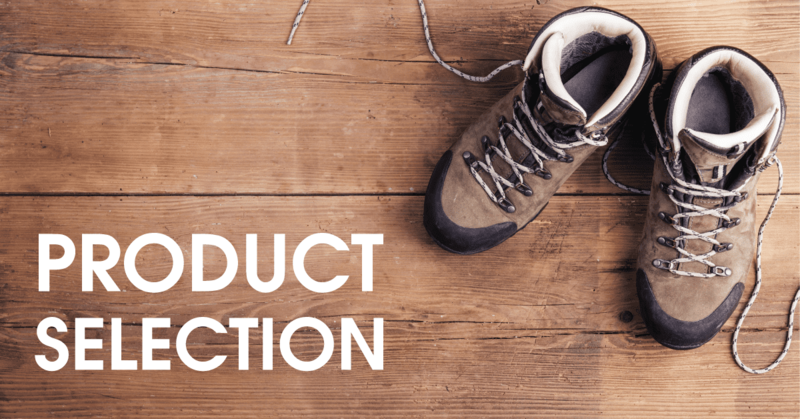 The number one reason why many Shopify stores owner experience low conversion rates or even fail is that they have not spent enough time doing proper product research. The key to success in e-Commerce is to pick the right product category (also known as “product niche”). The more particular and “sub-niche” a product is the better because it makes targeting specific users via ads on social media much more comfortable. We usually recommend store owners to think about how they are going to target customers BEFORE they build their Shopify stores and BEFORE they are selecting a specific product. Why is that important? It’s complicated to target the right audience unless you precisely know who the target audience is. Being able to pinpoint your audience will lead to more qualified traffic to your website, which in turn leads to higher conversion rates. People “need” these products to solve a problem. Once you are successful with “need products” you might experiment with “want products”. As opposed to “need products”, “want products” don’t’ necessarily solve a problem.They simply appeal to the consumers that desire to have a certain object. Having professional, high-quality product images is essential to convincing customers to hit the buy button. 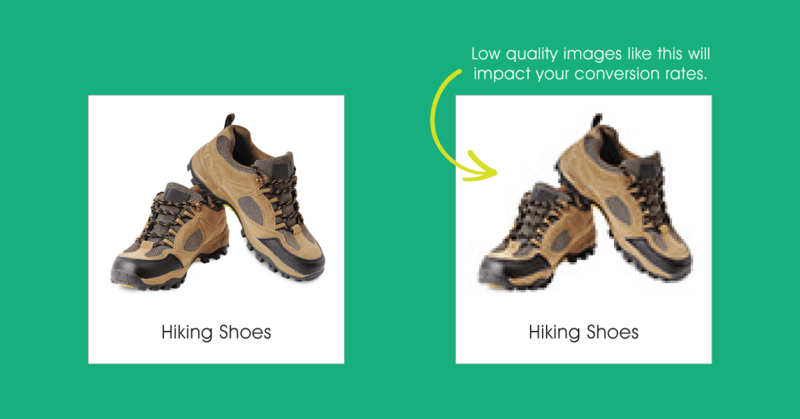 If your pictures are below average quality it will hurt your conversion rate; likewise, if your images (or even better product videos) are above standard, then it will likely improve your conversion rates. If you sell on Amazon, photography guidelines vary per category, however, generally speaking, we recommend using at least 5-7 high-resolution images. While Amazon will automatically resize your images (so high-quality images do not automatically lead to slow website loading times), Shopify does NOT offer this yet. In other words, make sure your pictures are not too large. Also, generally speaking, try to include features and benefits in the form of infographics as an overlay on the images. Features tell your client what your product does. Benefits say to your clients how they can benefit from using the product. The images typically answer the question: How can the product help the customer, i.e. how can it help take the pain away or cause pleasure. In short, your goal is to create an emotional connection with your customer via your images. Ideally, you tell a story with all your photos and appeal to all five senses. Your customers must feel compelled to buy your products solely based on pictures! If you need help finding highly qualified e-commerce photographers, shoot us an email! Selling on Shopify requires a much broader skill set than selling on Amazon. The most significant difference is that most Shopify stores don’t get any organic traffic without investing in content or performance marketing. And even when people are on the website, conversion rates are – on average – mediocre at best compared to any offline retail store or mildly successful Amazon online store. Having a so-called “brand story”, something with which your customers can emotionally connect, is, therefore, an essential component to building well-converting Shopify stores. If you don’t have a story, your client is less likely to connect with you. 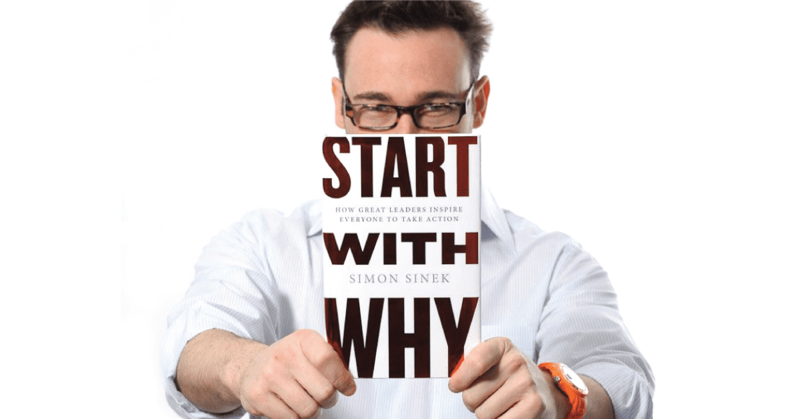 An inspirational talk we recommended watching is “Start with the Why” by Simon Sinek. You can watch the Youtube video here or buy the book on Amazon here. Without a story, the soul of your brand is missing. Sometimes, it’s easy to come up with a story; sometimes it’s complicated. We believe this is the biggest difference between Amazon and Shopify: While you CAN sell easily on Amazon by having a great product offered at a great price, it’s challenging to replicate this on Shopify. One of the most critical ingredients of a highly converting website includes critical physiological buying factors like “scarcity” and “urgency”. Urgency is the feeling that the product or service is vital. The buyer feels like they need to act quickly. How to create urgency? Use words like “now,” “hurry,” “instant”, “immediately”, “quick”. Usee “urgent” colours in your Call-to-action (CTA). Interestingly, green CTA buttons convert lower than red/orange/yellow buttons. Scarcity is the feeling that a product or service is in short supply. The seller can place a real or artificial limitation on a product or service with the goal of increasing sales through pressure put on the consumer. It taps into the fear of missing out (FOMO) and causes people to make quick, impulse-driven buying decisions. How to create scarcity? Limit the supply of your products (Amazon does this consistently on your listings!). In summary, both psychological tricks are essential to include on your website because both compel action! Buyers do what their instincts tell them to do — to act immediately on what is important (urgency), and to acquire what is limited (scarcity). All of these create a sense of loss aversion in the consumer. How to implement both factors on your Shopify web page? We recommend installing apps like “Hurrify” or “Social Proof & Urgency” by Banana Stand. Apart from that, we recommend looking into Zipify Pages, the first landing page builder uniquely designed for Shopify. This landing page allows you to do A/B testing and implement opt-in light boxes and more. If you want to skyrocket your conversion rate, this app will certainly help! Cost: Starting at $67USD/month. It might sound like a lot but remember, conversion is king, everything else is queen! Selling products or services to “cold” contacts, i.e. to prospects who have never heard of your brand is complicated. In fact, conversion rates for first-time visitors to your websites are much lower compared to visitors who’ve had various touch points with your brand. You might be familiar with the “Rule of Seven”, one of the oldest concepts in marketing, formulated by marketing expert Dr Jeffrey Lant. In plain terms, it states that you have to contact the prospect a minimum of seven times within an 18-month timeframe before he makes a purchase. It’s infinitely easier to retarget to an existing client than to sell to a new client. As of today, it’s not possible to pixel customers on your Amazon product pages. With your own Shopify website, this is much easier! You can easily add pixels to your Shopify website so you can retarget your clients via Facebook, Instagram, Google, Youtube or other related ad networks. Retargeting automatically turns a cold visitor into a lukewarm visitor. So in other words, if you want to reap the benefits of retargeting, work on low-hanging fruits: Enable retargeting via services like Adroll or Perfect Audience.The accounts are free, you only get charged for the number of impressions. Also, activate Facebook retargeting to all visitors to your webpage. All of these solutions you can download from the Shopify app store free-of-charge. A minimum number of reviews is essential to pass the “social proof” test. Amazon bakes this philosophy right into every listing. Products with bad reviews tend to rank lower, products with good reviews tend to rank higher and convert much better. On Amazon, it even matters what your average review score is. As most readers of this blog post know, it’s against Amazon TOS since late 2017 to ask your customers for a review in exchange for a discount. In contrast, on your own Shopify store you can ask for reviews in exchange for a discount! We’re not suggesting you should do that; we’re just pointing out that on your website you can do whatever you want. Not having any reviews on your Shopify will certainly not improve your conversion rates. So why not give discounts to people on your mailing list and kindly ask them to leave an honest and fair product review? 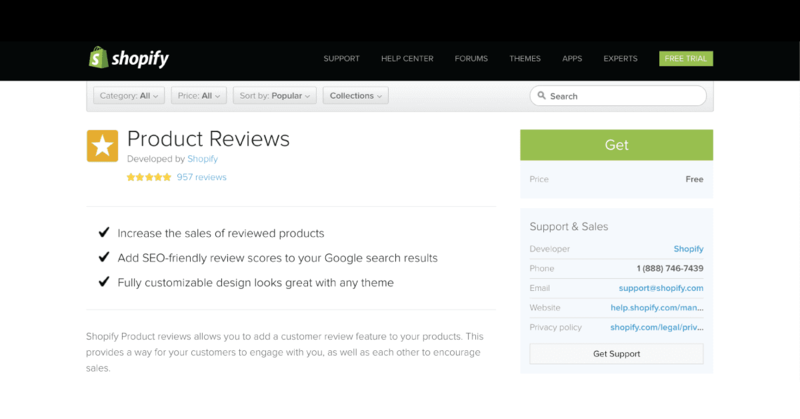 To collect these reviews and you can head over to the Shopify app store and install one of the popular review apps. In fact, Shopify is the creator of the most popular review app. 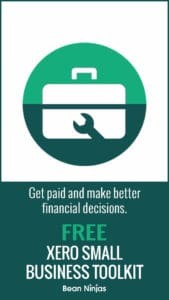 You can download it free-of-charge without any hidden fees. The app is called “Product Review”, and you can install it by following this link. Another great app we can recommend is called Stamped-iO. Here’s the link to the Shopify app store and here the link to the company’s website. Both will automatically send an email to the customer – typically two weeks after the purchase – and ask for a review or feedback. They furthermore estimate that these members spend on average $1,300USD per year which compares to “only” $700USD per year that non-Prime members spend. All of these 90 million Prime customers have access to a more significant number of Amazon Prime benefits including unlimited streaming of movies and TV shows with Prime Video and FREE two-day shipping in most cases also free returns. Like it or not, but Amazon is conditioning their clients that it’s normal to have free shipping. You, as an E-commerce store owner, need to make your own decision what kind of shipping costs you set. One thing is without any doubt: If you offer free shipping and announce this openly on your website via an announcement bar in the header and your product detail page, your conversion rates will go up. However, many store owners are afraid of offering free shipping and returns as it will further cut into their margins. What most store owners forget is that they can easily increase their prices and thereby include the shipping costs into the product cost. Alternatively, merchants can provide up-sell and cross-sell offers thereby increasing the average order size. In the end of the day, offering “free-shipping” is nothing more than a psychological game with your customers. Before opening a Shopify store, make sure to set the right expectations. Opening a Shopify store is the easy part, successfully running it is the tricky part. If done incorrectly you might waste a lot of time, money and other resources. In fact, most merchants who run a successful Amazon-only business do NOT manage to replicate their Amazon success on their Shopify website. Amazon is a well-oiled machine, and even if you optimise every little detail as outlined in this blog post, you might struggle to achieve the same success. At the same time, we know many Shopify merchants whose stores outperform their Amazon sales by 5x-10x. Building your own E-Commerce shop OFF Amazon can be a key ingredient to your long-term brand building process. This blog showcases some of the tactics highly successful Shopify sellers use to make their Shopify store success by increasing their conversion rate. Sonrisa Ventures is a one-stop-shop for launching brands in Europe via localised Shopify websites and via Amazon marketplaces.